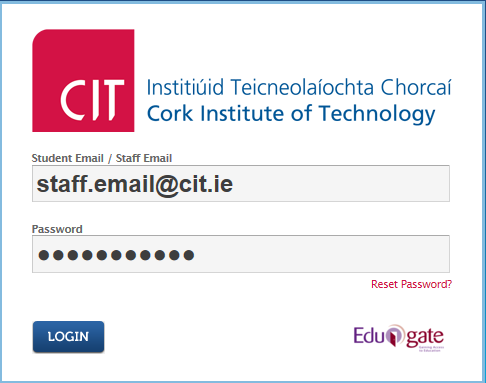 HEAnet in association with CIT IT Services have now developed a large file transfer service for staff accessible through each email account. This service allows the user to upload files to a central storage point, where you can then distribute a unique URL to allow the download of your file(s). To use this service, follow the simple steps below. 1. 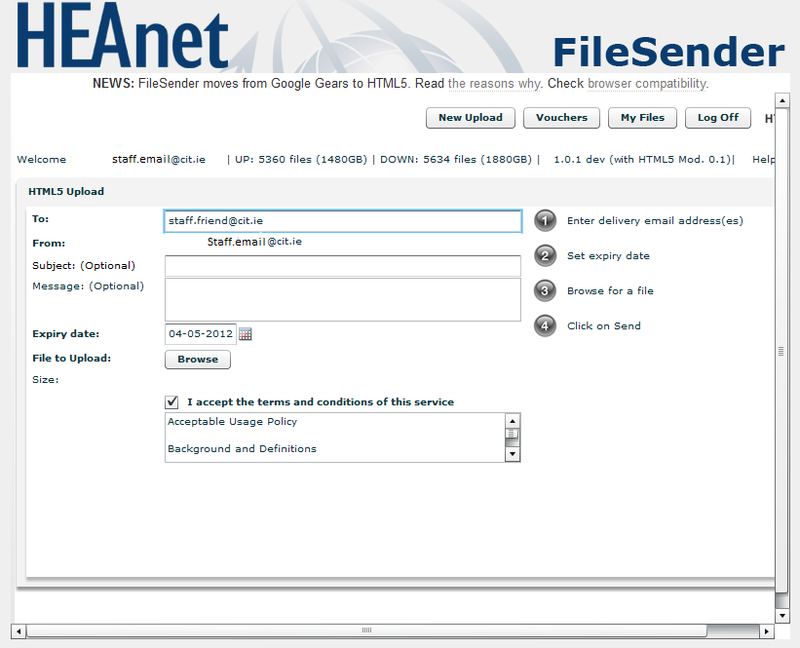 Follow this link to access the HEAnet website: https://filesender.heanet.ie/. 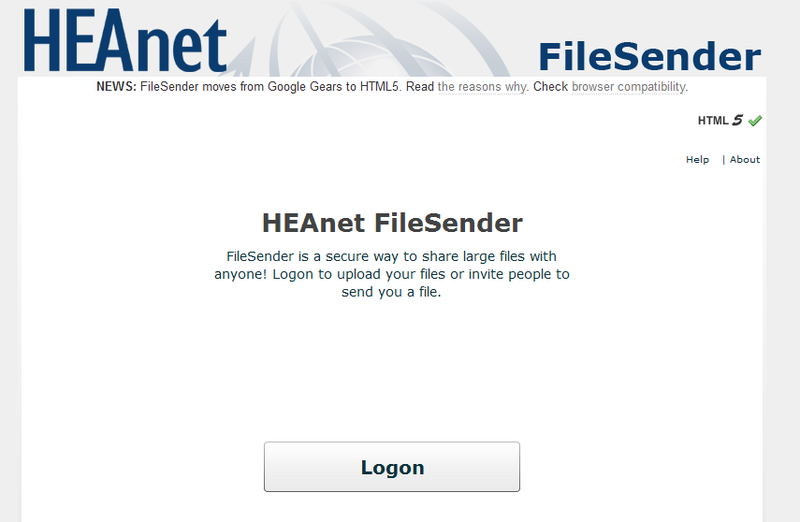 Here you will be greeted by HEAnet Filesnder main page, just click on Logon to begin the process. 2. After clicking on Logon, Heanet Multimedia will ask you where your situated, click on the arrow on the right and select your location which is Cork Institute of Technology. 3.You will now be redirected to your email login page. Enter your staff email and Single Sign-On password/PIN and click Login. 4. 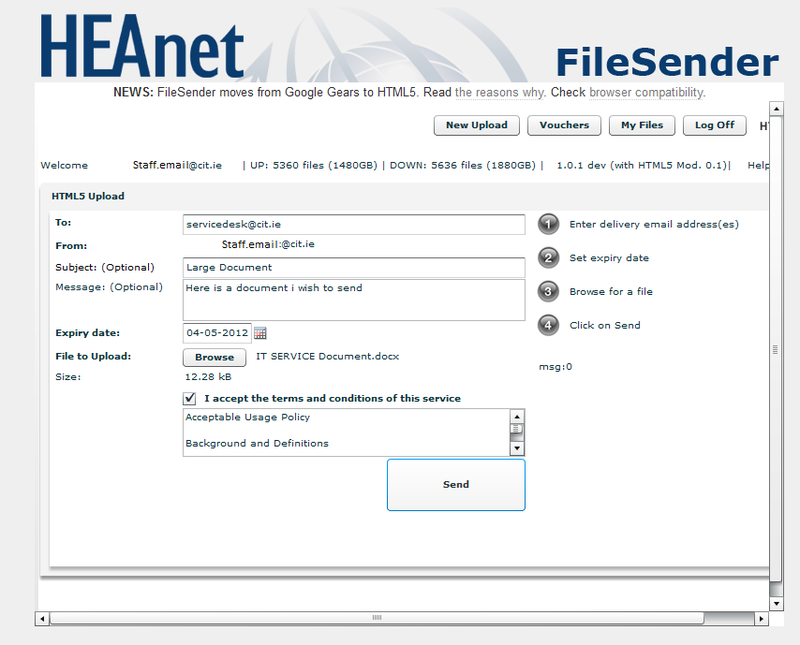 After logging in your details and pressing Login, you will enter onto your own personal HEAnet Filesender profile where you can send your files to your intended recipient. 5. To send a file to your contact, click on browse on the right side. An upload file page will pop up where you can browse through all the files on your system, select your intended file and click Open. 6. After selecting your file, fill in the fields above like the subject and message, which describes your message your sending. 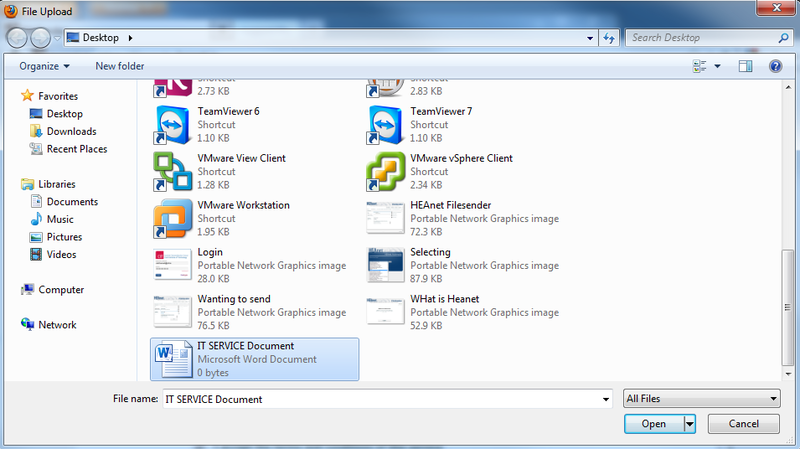 After all thats done, click on Send and your file should be send across the network.